Former Secretary of State Hillary Rodham Clinton just raised the ante substantially as she competes with Sen. Bernie Sanders for the hearts and votes of middle-income and minority voters. Over the holiday weekend, she unveiled details of a $125 billion Economic Revitalization Initiative to create good-paying jobs, rebuild the nation’s crumbling infrastructure and encourage home ownership by low-income families. This is the latest installment of Clinton’s cornucopia of proposals for economic stimulus and new bridge, highway and other infrastructure construction to assist distressed communities, both in urban areas and rural communities hard hit by the decline of the coal industry. Over the past year, Clinton has outlined well over $1 trillion of new or expanded government programs during the coming decade, including reducing the cost of college tuition, providing treatment for drug addicts, assisting employers to provide mandatory family and sick leave and a wide range of infrastructure programs. While her laundry list of programs is steadily growing, it pales by comparison with the $18 trillion or more in spending over the coming 10 years proposed by Sanders, including free college tuition at all state-funded schools, a youth employment initiative and a single-payer national health care program that would replace Obamacare. Both candidates would finance many of their proposals through tax hikes, especially on wealthier Americans or Wall Street investors. While some of Clinton’s latest ideas track over roughly $300 billion of infrastructure spending she has promised over the past several months, her proposals for increased home ownership by families that earn less than the median income and expanded low-income rental housing would break new ground in the presidential campaign. 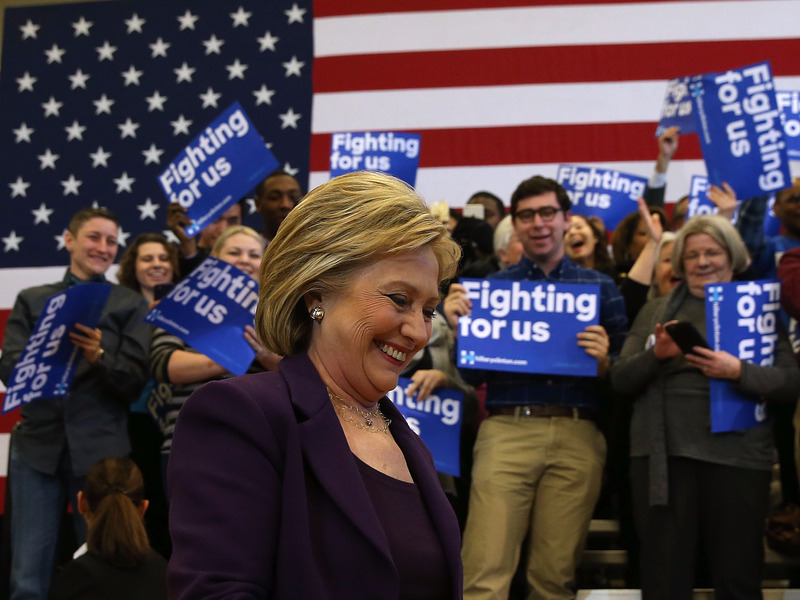 "Homeownership is about more than just owning a home," Clinton's campaign said in outlining the proposals. "It is about putting roots down in a community with better schools, safer streets and good jobs. And it is about building wealth, as homeowners build equity in their home one mortgage payment at a time. But this opportunity is increasingly out of reach for too many families, particularly families of color...We must make sure that everyone has a fair shot at homeownership." According to the campaign, there is 72 percent home ownership among white Americans, but only 42 percent among black households and 47 percent among Latino households. Clinton and Sanders are battling for support among blacks and Latinos in the upcoming primary caucus and election in Nevada and South Carolina. 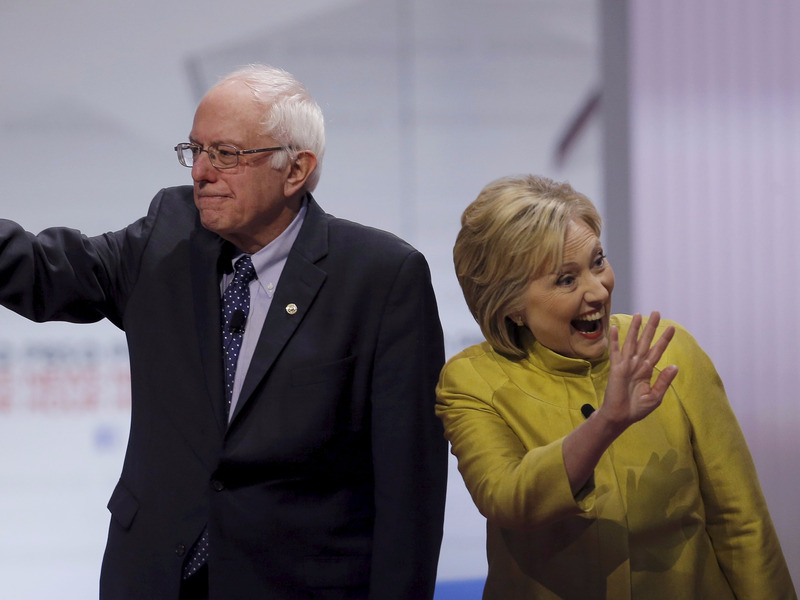 Democratic U.S. presidential candidates Senator Bernie Sanders and former Secretary of State Hillary Clinton wave as they arrive on stage before of the start of the PBS NewsHour Democratic presidential candidates debate in Milwaukee, Wisconsin, February 11, 2016. Match up to $10,000 in savings for a down payment on a house for those who earn less than area median income. Reduce so-called “redlining” or barriers to lending to residents of neighborhoods with inadequate public services and support. Support housing ownership counseling programs and seek to improve community relations with the police. Build more affordable rental housing near good jobs and schools. This could be done in part by increasing a decades old federal rental housing tax credit allocated by the states and used to leverage private investment. The Housing Credit has financed nearly 2.8 million affordable apartments in this country since 1986 and has provided homes to approximately 6.5 million low-income households, according to housing industry figures. Tax-Exempt Multifamily Housing Bonds have been used in more than 40 percent of these homes and are vital to the Housing Credit’s success. While Clinton and Sanders have been dueling over which campaign is offering the most assistance to struggling middle-class and lower-income families, the issue of affordable housing and how to improve distressed neighborhoods and regions has received short shrift until now, according to housing experts. Clinton’s new plan marks the first time a major presidential candidate has showcased his or her vision of how to address the problem of inadequate single family and rental housing for lower-income families. Ed Brady, chairman of the National Association of Home Builders, praised Clinton for "recognizing the significant role that housing plays in our local communities and economy and being one of the first presidential candidates to present a housing and community development plan that will help boost homeownership, rental housing and employment opportunities for the American people,” according to DSNews, a housing industry publication.